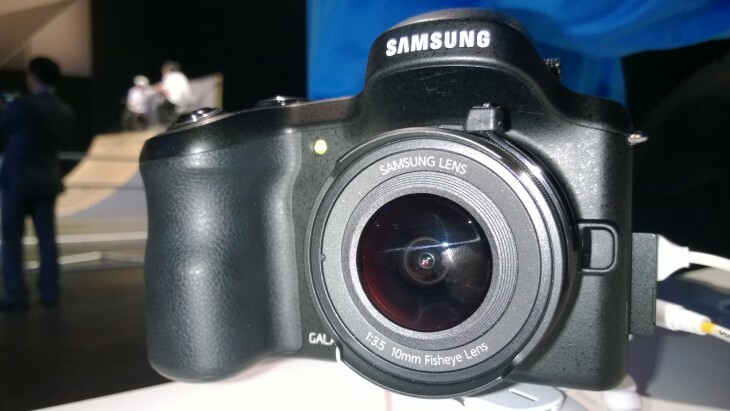 Two months after TNW first managed to grab a little time with Samsung’s latest connected Android camera, the Korean electronics giant has announced that the Galaxy NX is now available to buy in the UK. Running on Android 4.2 (Jelly Bean), the Galaxy NX can access a range of Android apps for users to tweak and tailor their photos, while it features more than thirty Smart Mode options to suit the surroundings of the photographer. One of the key features of the camera is its 20.3-megapixel sensor, plus the versatility enabled by its interchangeable lense system. It doesn’t skimp on other specs, such as including an ‘advanced’ hybrid autofocus system with a 1/6000 sec shutter speed and 8.6fps shooting speed. It’s also one of the first camera’s to offer 4G LTE connectivity too. The camera’s on sale now from Currys and Jessops, for a whopping £1299. Yup, you read that correctly. Meanwhile, check out the official demo video below.